Employee salaries account for 20 - 50% of a company’s total operating budget. Thirty percent, on average, of an employee’s total compensation consists of benefit offerings. Yet selecting or changing benefit elections is often an unpleasant and painful process from the employee’s perspective. The enrollment system is in many instances cumbersome and confusing. Benefit plan documentation is sometimes difficult to find on a company’s intranet page or portal, buried under layers of clicks and searches. All of which leaves the employee frustrated with the process. By thinking outside of the box and making a few instrumental changes, the process can be user-friendly and personable to the employee. The enrollment system should contain simple instructions and steps. The process should provide an easy to follow flow for the employee. Pop-up boxes or notes containing enrollment instructions can often be added to key screens to make the process error proof while providing clear direction. Links to plan summaries and plan comparison tools available directly in the enrollment system is key for employees to browse options and consider their choices carefully. A single employee portal should house links to the enrollment system, all plan documentation and vendor information. Easy navigation tools should be provided to search the site for keywords. Short summaries of benefit plans with links to the longer more detailed plan descriptions can be added directly in the enrollment system. For next level technology, consider offering a comparison tool of different benefit offerings to show the net plan differences to employees. For example, Infor’s Talent Science tools provide this functionality enabled by HRSD Knowledgebase. 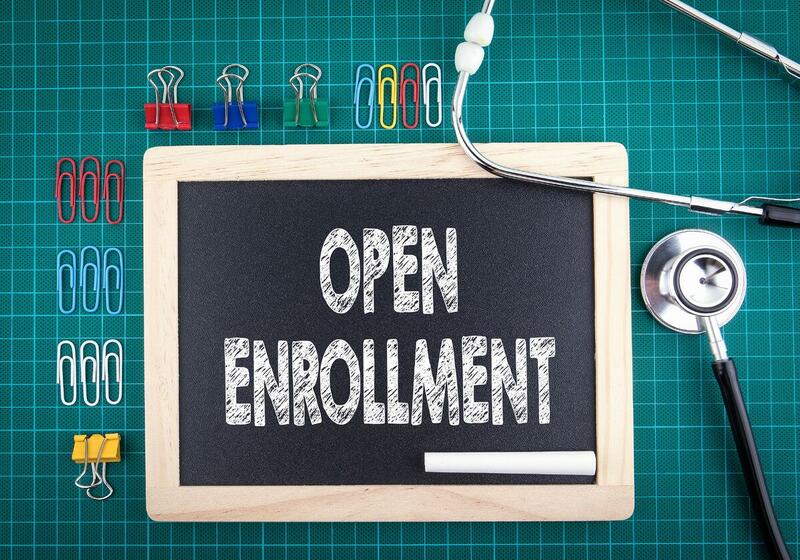 Evaluate benefit offerings prior to next open enrollment to make sure they are easy to administer (flat amounts or increments, rather than variable amounts). Most benefit enrollment systems are robust and can handle many different plan configurations but are not always the easiest to maintain. You have power with the vendors to request different options, don’t settle for a given plan build without considering how your organization can handle the ongoing plan maintenance. Use a single system for all benefit enrollments including new hire, life events, and open enrollment changes. Employees are confused by multiple systems or methods that change depending on plan type or time of year. A single system allows consistency in delivery with the added benefit of employees becoming more familiar with the tool. Life events are typically easily configured to allow for the attachment of documentation and approvals by the Benefits Administrator before taking effect. Notifications of the status of a request can be configured to route automatically at certain steps in the process back to the employee keeping them informed. Develop a focus group of users before rolling out any changes to the general employee population to get feedback and key insights to the enrollment experience. Don’t hesitate to solicit employee feedback with comment boxes during or after open enrollment to make the process a better one next year. Be creative and take advantage of multiple forms of communication to your employee population. Remember that every employee is different, so use various types of stimulants to catch the eye, ear and mind of your team members. Brainstorming early and developing a solid strategy to provide a positive experience to your employees will allow you to reap the benefits of a great annual enrollment cycle. Also, continuing to have more employee interactions through self-service tools during the year will lower the burden of manual maintenance by back office staff and free up resources for more strategic projects. If you are considering moving to the next level of ERP software that includes a benefits enrollment solution, be sure to partner with a business consultant that has prior experience not only from an implementation perspective but that has the business knowledge to make your experience successful. The HCM team at ROI Healthcare Solutions would be happy to discuss new ways to streamline your processes and provide greater efficiencies in your next Annual Enrollment.